Welcome to the My 15 Minutes Referral (Affiliate) Program. Just to remind you, you can earn almost $25 of every registration paid by a new My 15 Minutes program member referred by you (after GST). Your account log in details will be emailed to you separately for your account. Please let us know if you do not receive these shortly. 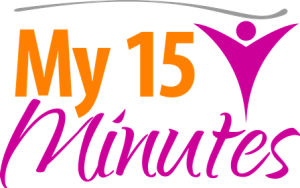 We really appreciate you sharing the My 15 Minutes program with your friends, clients and colleagues. Simply login to your account to copy the link for your unique My 15 Minutes affiliate url so that you can share the program via social media, email or even on your blog or website. Please contact us at support@my15minutes.com.au with any questions or if we can help you in any way.